Here you can see a before and after picture of a typical 'star break' stone chip. 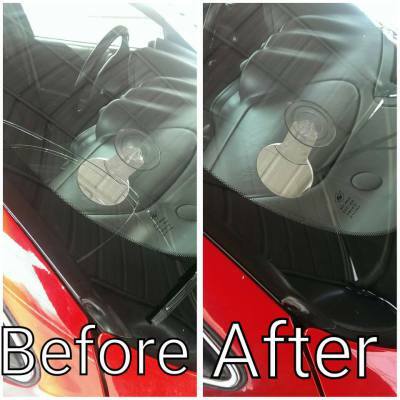 Although you may still see a faint outline of the stone chip after the repair is complete. The main objective is to stop the chip from spreading further. This is an extreme example of a long crack that is, infact repairable. All long crack repairs are guaranteeed to hold for minimum of 1 year. If by chance, for whatever reason, the repair doesn't hold. 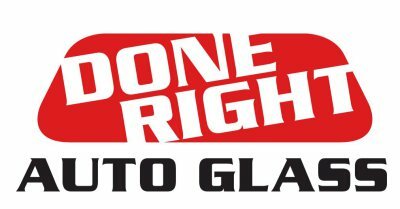 We use the money that you spent on the repair, against the cost of the new windshield replacement. 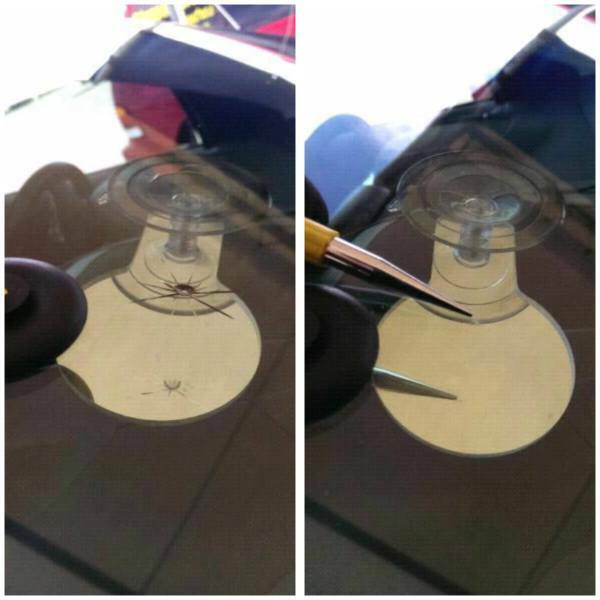 Therefore, you haven't lost a penny in trying to repair the windshield. If after inspection, the windshield is deemed "un-repairable" Our team of mobile replacement technicians can have your windshield replaced at your home, office or on location at one of our shops. There is no extra charge for mobile service. You'll be able to drive the vehicle right away after completion and replacements typically take between 30-40 minutes..